I’m going to guess that if you’ve ever cooked in a kitchen, that you’ve used a kitchen utensil for stirring or flipping. 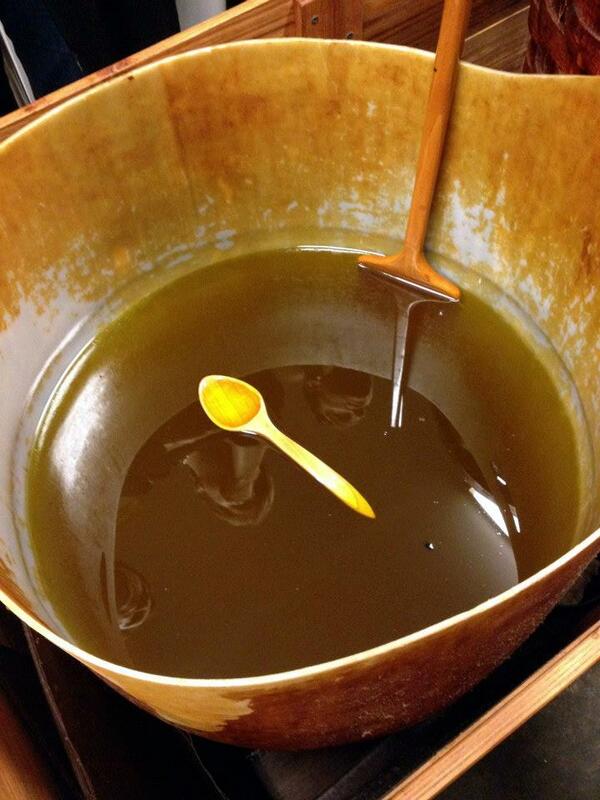 And chances are, at some point in time, you’ve used a wooden spoon to stir or strain, correct? 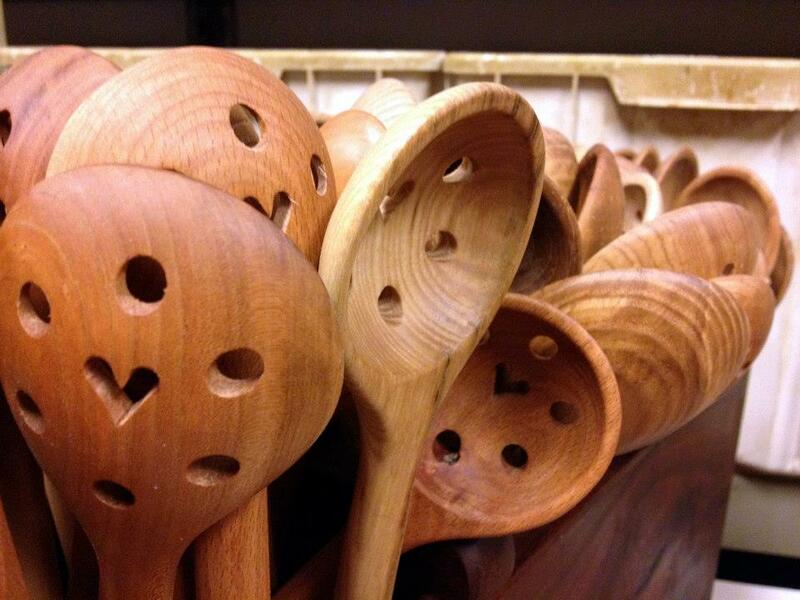 What if I told you that some of the country’s best wooden utensils are made right here in West Virginia? And what if I told you that you can take a tour to see the process from beginning to end? Pretty neat, right? 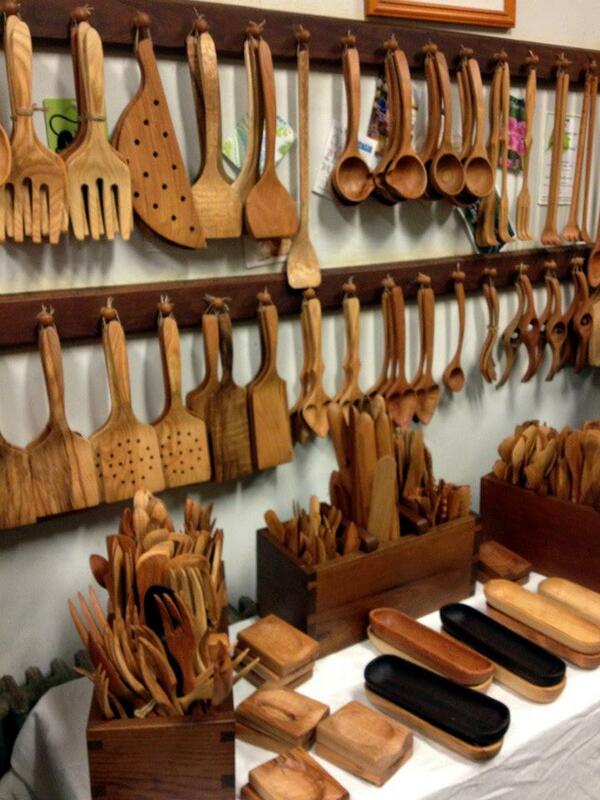 There are dozens of artisans in West Virginia who specialize in crafting wooden utensils by hand. 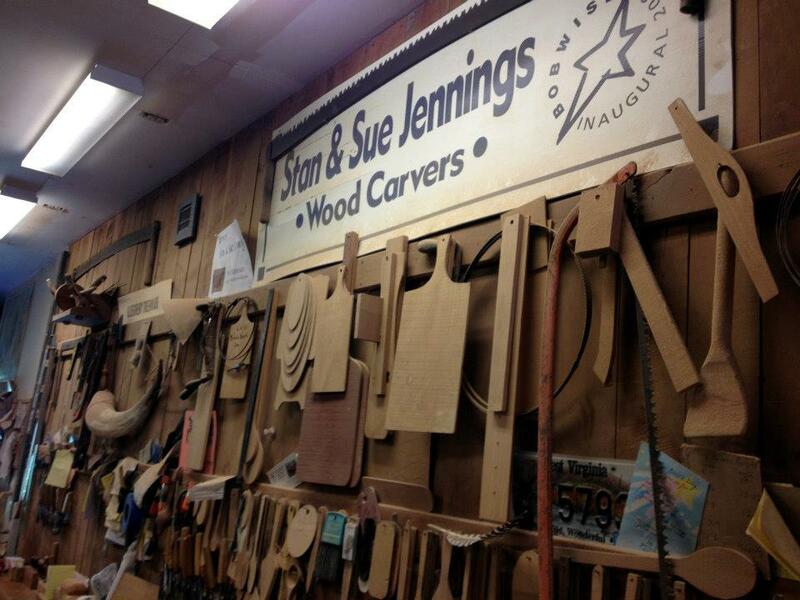 Among these artisans is master artisan duo Stan and Sue Jennings, owners of Allegheny Treenware in Preston County. At Allegheny Treenware, a team of skilled woodworkers take blocks of wood and transform them from dull and lifeless slabs into a functional work of art. The process is completely handmade from the first cut of wood to the wood-burned logo on each piece. The company has a full line of products to choose from, including spoons and spatulas to knives and tongs to butter dishes and bowls. Each item is thoroughly checked for consistency and defects, ensuring only the highest quality products are available for sale. 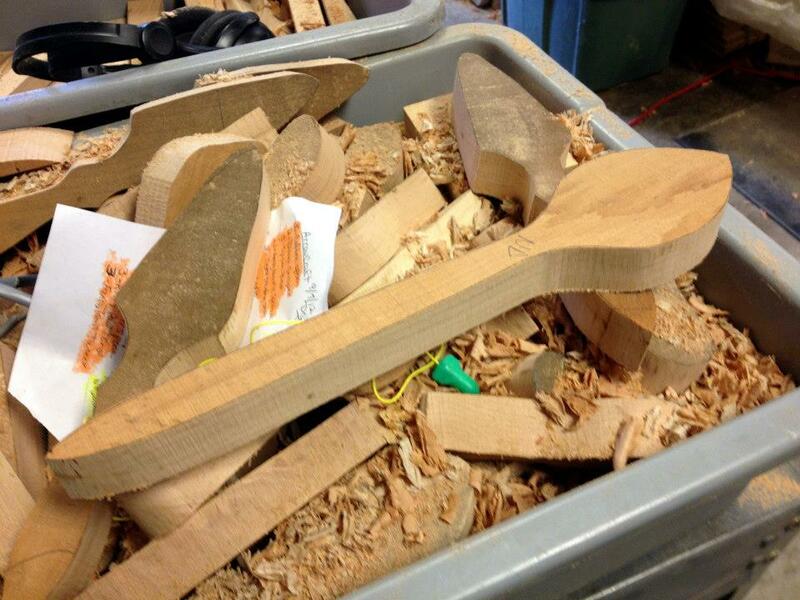 Every spoon starts out similar to this; a general form cut out of a block of wood. It then goes through a series of shaping stations and sanders to achieve its final look. Can you believe this is the same piece of wood in the picture above? The final step for each piece is to let it soak for 24 hours in this special mixture. This allows the wood’s true color to shine through and it seals and protects it. A small gift shop is located inside the studio with a wide variety of products. These Heart Straining Spoons are a favorite of mine! Allegheny Treenware’s products can be found at specialty retailers nationwide, including West Virginia artisan retail outlet Tamarack: The Best of West Virginia in Beckley. Studio tours are by appointment only and may be scheduled by calling (304) 892-5008 or 1-866-279-7526. For more information on Allegheny Treenware and to view their full product line, please visit their website at http://alleghenytreenware.com/. *Note: This post is not sponsored or endorsed in any way; I am simply a fan of Allegheny Treenware’s products and wanted to showcase them with my followers.